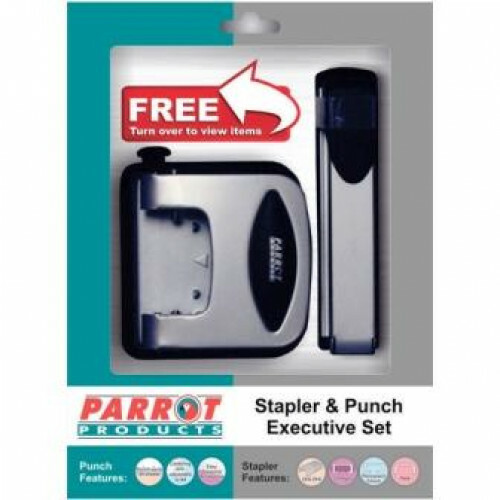 Executive set Includes a Stapler, Punch, 1000 Staples (26/6) & Staple Remover. Perfect for home and office use. Punches up to 30 Sheets. Centering arm adjustable to A4. Loads 210 standard Staples (Full strip).